Worms' need a bed...or rather bedding. So, what should you use? "I prefer a soccer ball to a laptop any day." "Digger! Come! You've got a blog post to write." 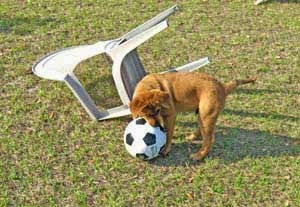 Digger here, your expert vermicomposting dog and ex-soccer player. For the purposes of this post, I've set aside a portion of the available food scraps (just don't ask me to do it again). We'll add it to the worm compost bin after we get the bedding in place. It should be easily digested. Using a mixture of any or all of these makes very healthy bedding material for your composting worms. Your final decision would take into account: the above attributes; is the bedding material easy to obtain; and, importantly, is it free or inexpensive recycled organic material. Worms need oxygen, that's a no-brainer. Who doesn't? 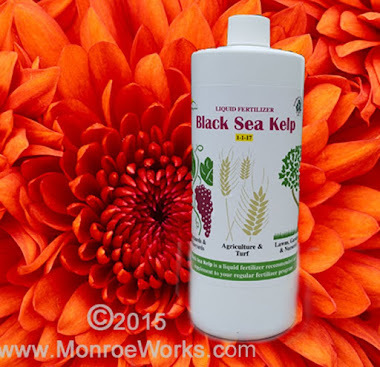 Moisture is so very important because the worm's surface membrane uses moisture to absorb the oxygen. But the amount of moisture is critical. Too much moisture creates anaerobic (no oxygen) conditions and too little moisture causes the worms to dry out and they won't be able to breath. Either way, the outcome is the same. Your worms will die. Or leave. Which is worse, 'cause where did they go? Think of the Three Bear's. Not too wet, not too dry, but j-u-s-t right. The ideal moisture content of your worm compost bin bedding should be 50-60%. One good way to judge, aside from a moisture meter, is to grab a fist full of the bedding after you've dampened it. If you can squeeze out a drop or two, the bedding has the correct amount of moisture. Squeeze out several drops or a stream and you've got it too wet. You'll have to let it sit and dry out, or add more dry materials to the wet stuff and mix it in. It's easier to err on the side of too dry and add more water that to get it too wet and have to dry it out. We'll get to the food later. Actually, there is a fourth and fifth element worms need to be happy (they are very demanding, sorta like me): Cool temperatures; low light. 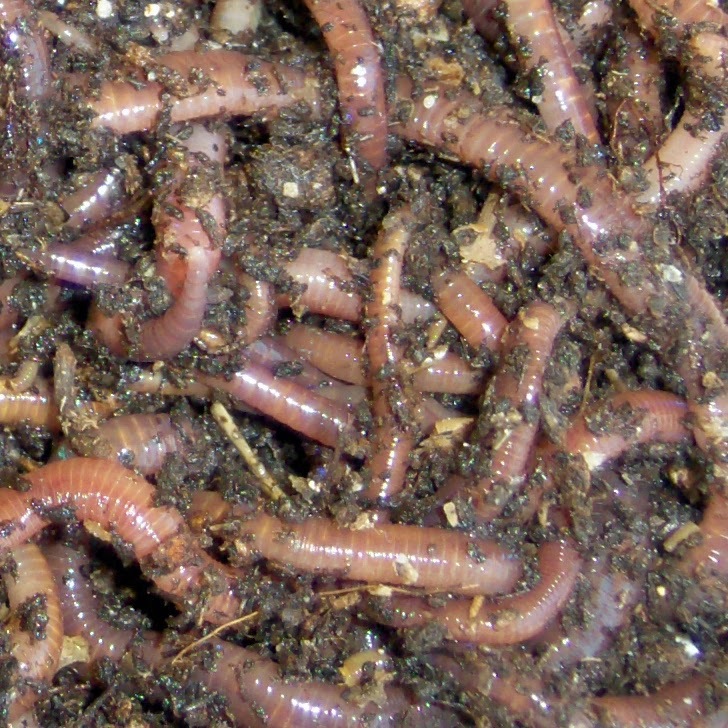 As a rule, composting worms prefer cool conditions. 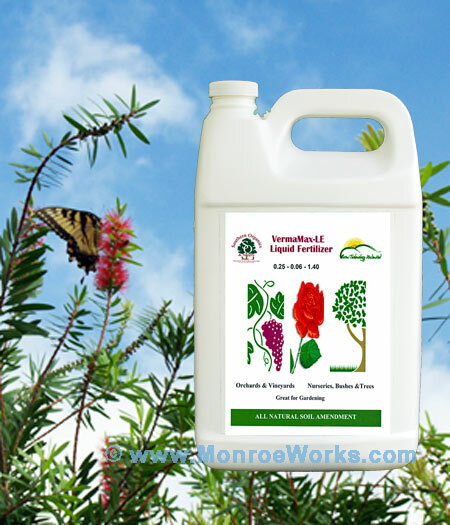 The good news is European Nightcrawlers and Red Worms are tolerant of a wider range of temperatures. But they're happiest at temperatures we enjoy: about 70 degrees. They'll survive freezing temps if the bedding is thick enough and not too wet. They'll survive in 90 degrees plus if the bedding is thick enough and more moist. When they get uncomfortable, they just dive for cover into the middle of the bedding. Thing is, though, they won't eat as much. So, if you can, keep those little babies at room temperature. Compost worms, like all worms, shun the light. And for good reason. Extended exposure to light will actually make them sick and/or kill them. Just keeping some kind of cover(a lid, a piece of landscaping cloth, a sheet of cardboard, shredded paper) over the surface of your worm bin will do the trick. Leaving a light over the worm bin, if it's covered, will serve the purpose of keeping the worms from crawling and will do no harm. Those worms aren't coming out into the light, no sir-ree. So, you've decided on the materials you'll use for your worm compost bin. You'll want to moisten the material prior to introducing your worms into it, otherwise, the dry material will pull moisture away from your worms. And we all know what that means. Let's say your using peat moss. 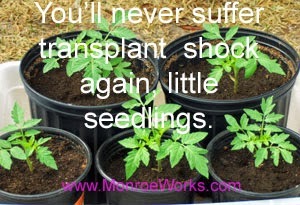 It should be moistened at least 24-48 hours before adding compost worms. That's because peat moss is on the acid side of things. Since compost worms like a neutral ph, letting the moss sit for a time will adjust the ph to 7, which is ideal for worms. Really, at least 48 hours is best. You'll need to mix it a little at a time, spraying with water and tossing, much like a flour mixture, until you have enough to fill your worm bin. At first the water will just run off (think "dry-sponge-syndrome"). After it gets a little wet, it starts to absorb the water better. Test as you go with the fist-squeeze technique. When you can squeeze out a drop, leave it covered and re-test the next day. If it's too dry, add some more water and toss. If it's too wet, add some dry. Dump the shredded paper into the bucket of water. Completely saturate the paper. Take a handful at a time of wet paper and make a ball. Squeeze out all but a couple of drops of water. (Optional) Mix in 16 ounces of good garden soil, finished compost or clean dirt (now that's an oxymoron!) from your yard to the damp bedding. Adding compost to whatever you use as bedding is good because it contains microorganisms which help the worms digest food. 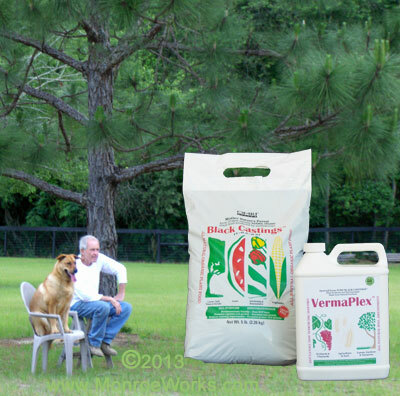 If you don't have compost, you can spray with VermaPlex ™ to inoculate your worm bedding. Food. My favorite subject. But first, I've got a soccer game to finish.